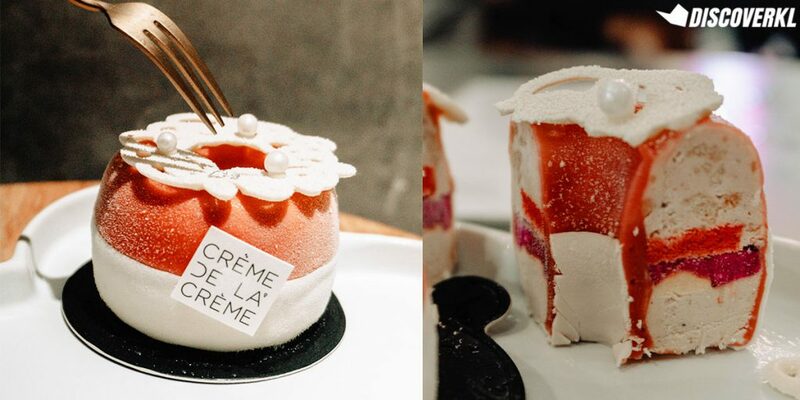 New dessert bar, Crème de la Crème, recently launched in Damansara Uptown. 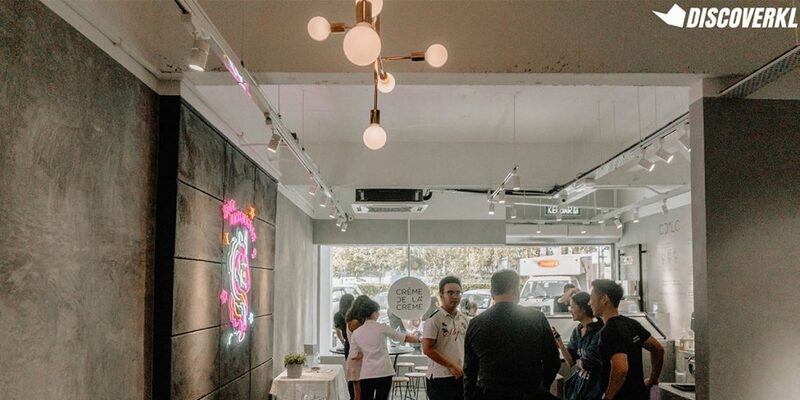 Where there is no shortage of dessert parlours in Damansara Uptown, In accordance with the current health-conscious trends, what this creamery offers is ice creams made without any artificial flavourings or colourings. 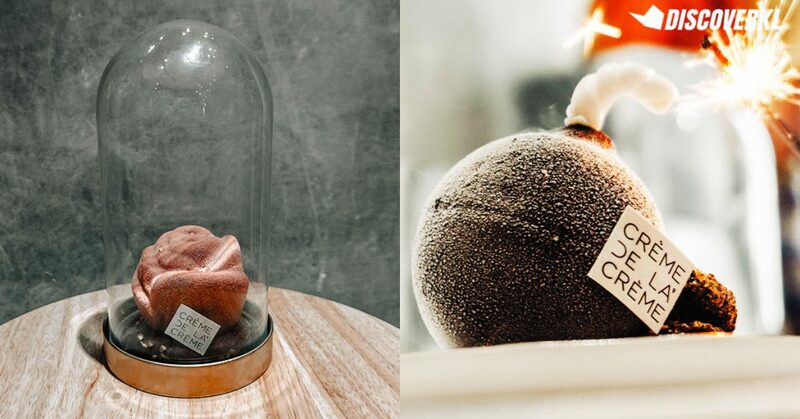 This dessert parlour was spearheaded by Singaporean ice cream enthusiast, Lio Lim, together with a team of 4 pastry chefs (2 of which received training from renowned pastry chef, Christy Tania). For the uninitiated, Christy Tania is a regular culinary guest on Masterchef Australia. 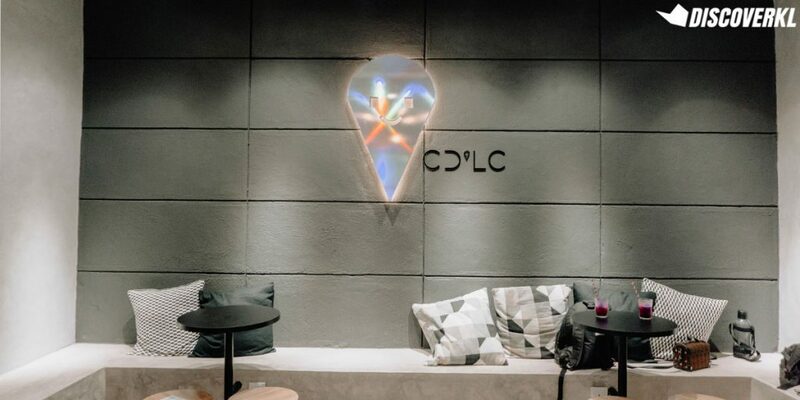 From the outside, Crème de la Crème’s minimalist concrete aesthetics and vibrant neon lights are really eye catching. 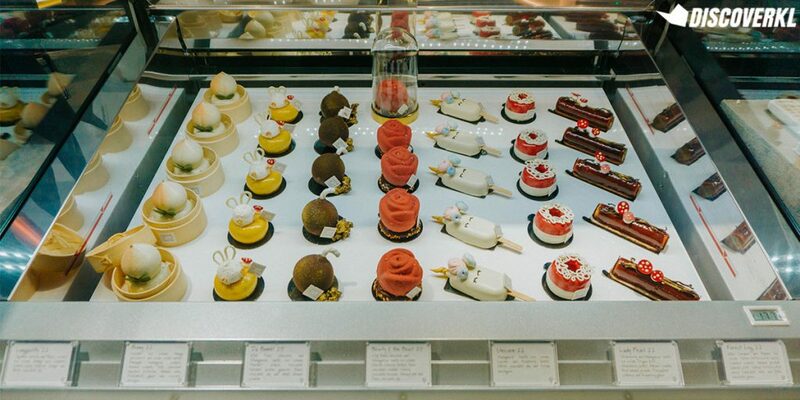 Upon entering, you’ll be greeted by two freezers full of ice creams, sorbets and adorable Petit Gâteaux! Dictionary Time: Petit Gâteau is a French term meaning “small cakes”. 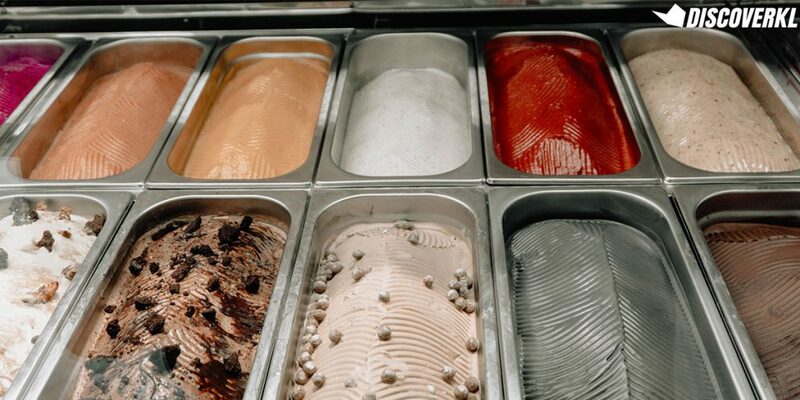 There are a total of 6 sorbet and 12 ice cream flavours for you to indulge in. 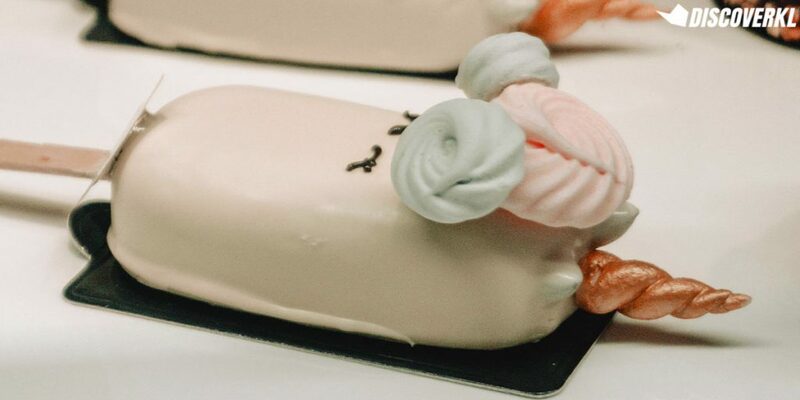 Each of their Petit Gâteaux is intricately designed with bold and occasionally constrating flavours and textures. 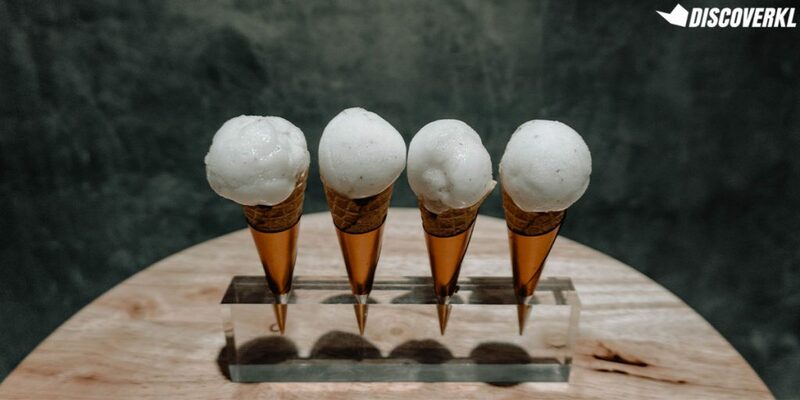 From combining a dragon fruit sorbet with a red almond sponge in a Lady Pearl to pairing a refreshing Barley Lime Sorbet with a lemon cone, their entire process is carefully thought out for your maximum indulgence. 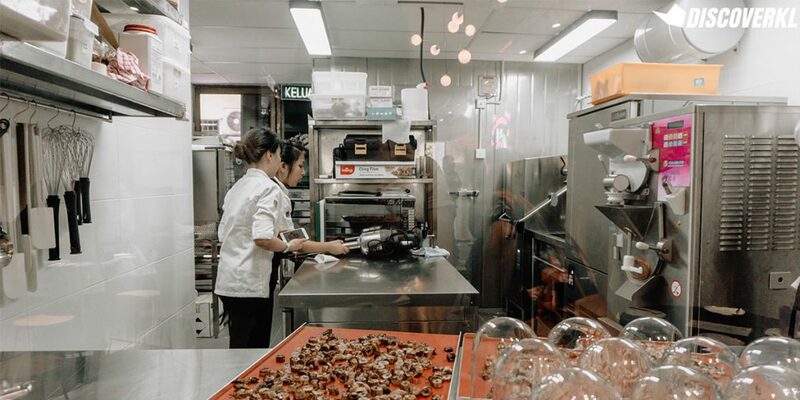 One key component to their desserts is their range of machines imported from Italy. “People always look at machines like they’re cars. If you look at ours, they’re equivalent to the Lamborghini of machines,” Lio shared. One of the hallmarks of this new creamery is that they want to show that do not stinge on anything. 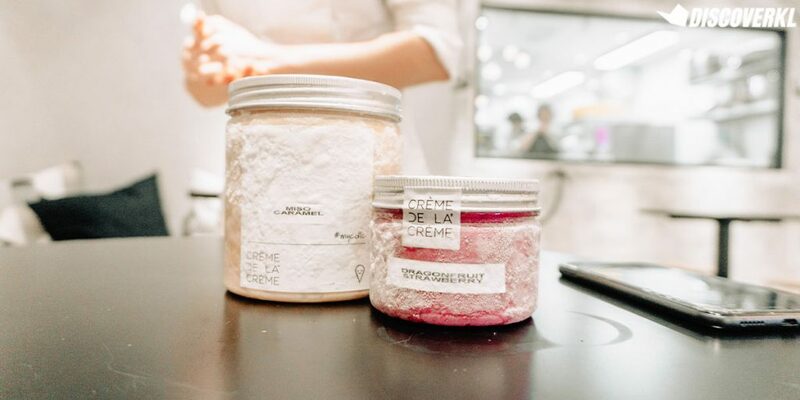 From machines to ingredients, the creamery emphasises on selecting top-of-the-line components, staying true to their spirit of being crème de la crème, or the cream of the crop. During our recent review at the dessert parlour, we were treated to 3 sorbets, namely the Barley Lime Sorbet, Dragon Fruit Strawberry Sorbet and the Limau Assam Sorbet. Each sorbet and ice cream was paired with cones of complementing flavours. For example, the Barley Lime Sorbet was served in a lemon cone to add a little more lemon zest to the taste. 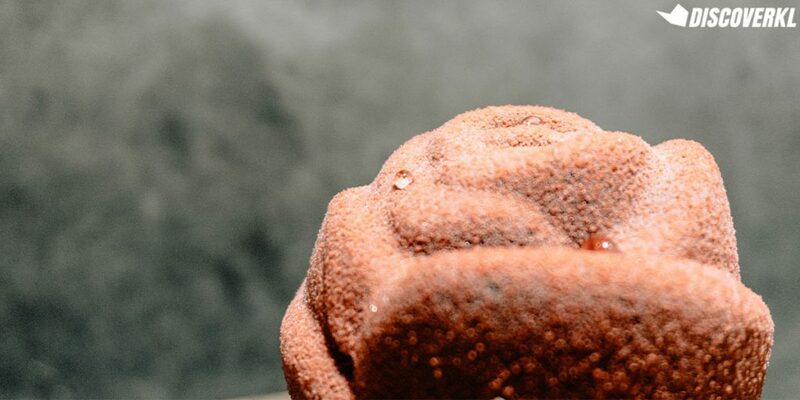 This first sorbet was testament to their promise of using 100% natural ingredients as the sorbet had the texture of blended barley—smooth with tiny chunks to nibble on. The overall taste was refreshingly sweet and slightly sour which tasted great with the accompanying lemon cone! Our favourite was the Dragon Fruit Strawberry Sorbet. 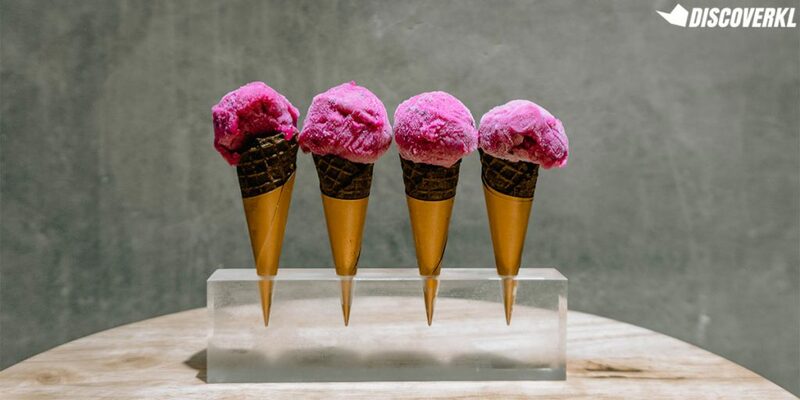 Served in a chocolate cone, the refreshing tart sweetness of the dragon fruit and strawberries was beautifully balanced. Besides that, they also have other refreshing sorbets such as the Mango Passion Sorbet, Pink Guava Sorbet and the Raspberry Sorbet that’re made out of 100% raspberries! 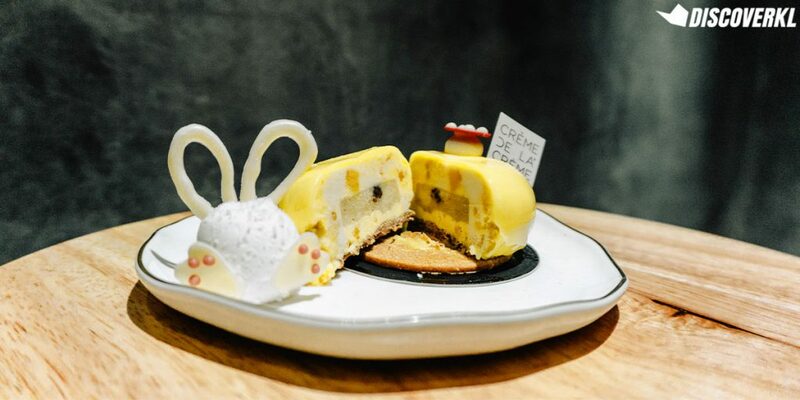 At Crème de la Crème, Lio’s artistic vision is combined with their Head Pastry Chef, Evelyn’s knowledge and skills to create ice cream flavours inspired by local Malaysian flavours. A uniquely Malaysian ice cream would be their Pandan Kaya Toast. Dehydrated fresh pandan leaves are blended into a powder texture and mixed into a creamy base of coconut and eggs. A toast crumble is then baked, swirled into the ice cream and added on top for a crunchy bite. Rejoice, keto dieters and diabetic patients for the Madagascar Ash is a sugar-free option. 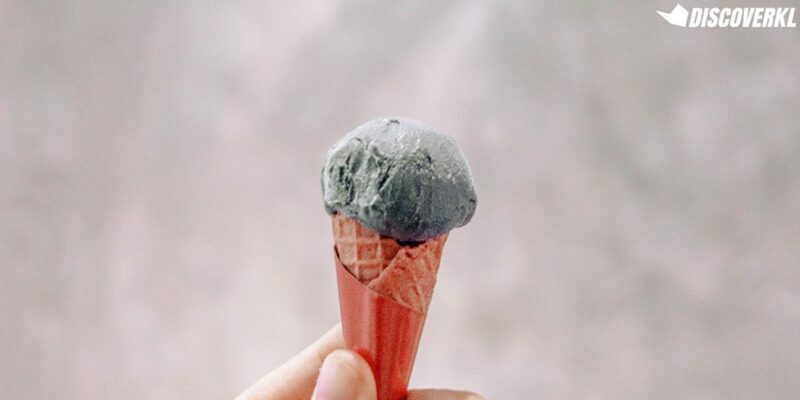 High-quality natural Madagascar vanilla beans and premium bamboo charcoal powder is sweetened slightly with a natural and healthy sugar substitute called Maltitol. Rich in antioxidants, it has detoxifying and immunity boosting properties, hence making this a guilt-free scoop of joy. Personally, I really enjoyed this one despite having a really sweet tooth. 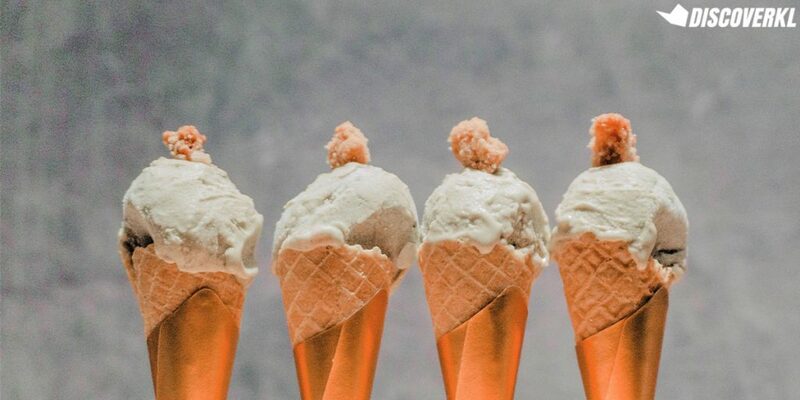 The natural sweetness of Maltitol combined with the Madagascar vanilla and the strawberry cone resulted in a strawberries and cream flavour combination. 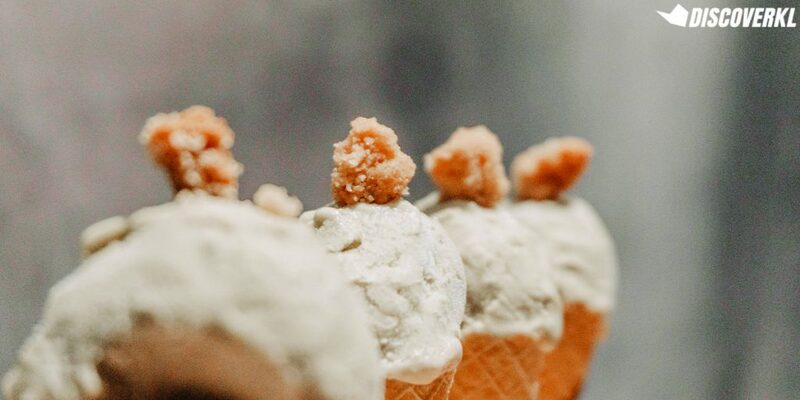 Additionally, they’ve also got French Earl Grey infused ice creams served with brown sugar pearls and Japanese Miso swirled in their handmade caramel ice cream. 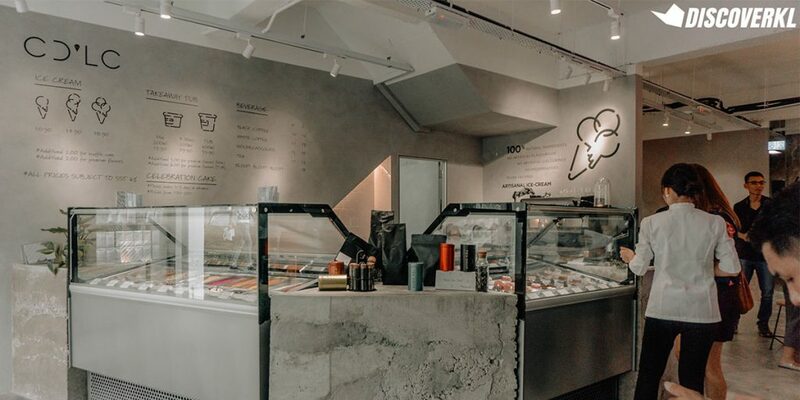 All the Petit Gâteaux you see at this dessert parlour were formulated by the creative team of 4 homegrown chefs alongside Lio. Drawing inspiration from the classic Disney movie, Beauty and the Beast, this dessert was even served in a tall glass dome. The details on this dessert is truly breathtaking. From the textured petals to the glucose droplets, you can tell that there’s plenty of attention to detail. 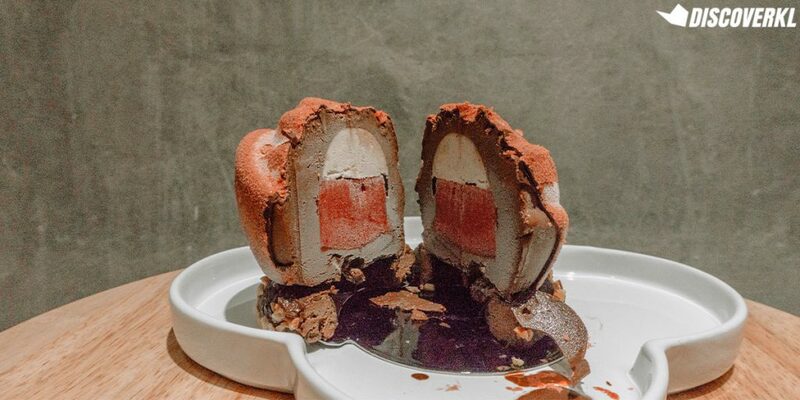 Inside is a luscious combination of Morello Cherry sorbet, Madagascar Vanilla, Weiss dark chocolate surrounded by a chocolate ganache. The tartness of the cherries combined with the creamy vanilla and bitter-sweet dark chocolate flavours are balanced by a ring of moist chocolate brownies. Baked in-house, their moist and chewy brownie ring is coated with a layer of chocolate ganache. Truly one of the best brownies we’ve had too! Take a mouthful of all the flavours and it’s as close as one can get to an authentic Black Forest dessert, minus the cherry liqueur. Their Lady Pearl takes its form like a beautiful baguette crafted by a French monsieur and beautified by the dainty hands of an empress. A pretty raspberry glaze encases a delightful mix of Strawberry and Madagascar Vanilla ice cream with Dragon Fruit Strawberry sorbet to enhance its delicate flavours. 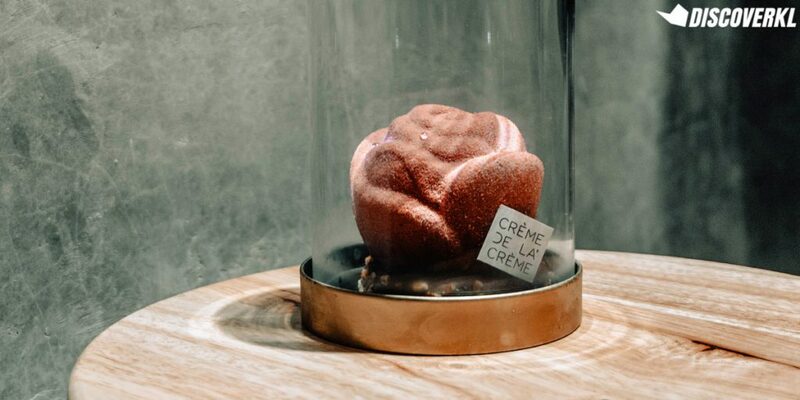 To add a little more texture to the silkiness of the ice cream, red almond sponge and a passionfruit crémeux is incorporated into the designs of this beauty. Finally, an intricate garnish is balanced on top to complete this masterpiece. 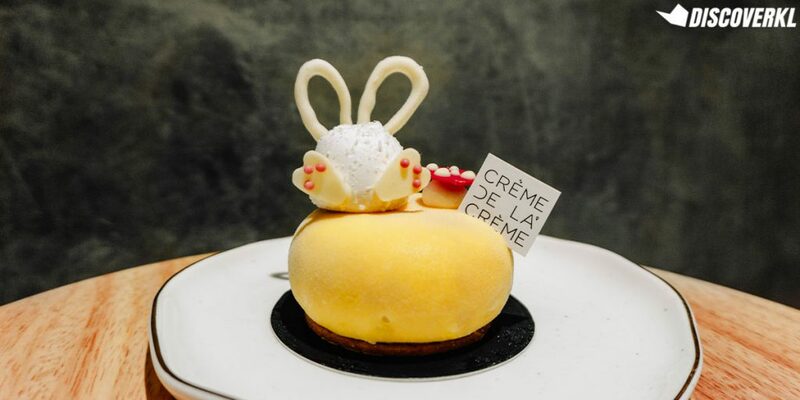 In collaboration with Easter, their tropical-themed Bunny Petit Gâteau features a unique mix of coconut, mango, calamansi, pineapple, lemongrass and passionfruit. With a crunchy chocolate hazelnut feuilletine base, the fruity flavours are balanced out nicely. Plus, there’s also an adorable fluffy coconut meringue rabbit to take a break from the citrus tartness. Best part is, everything on these creations are edible! Except for the label. Don’t. Eat. The. Label. As yummy as it looks, it’s real cardboard. Crème de la Crème’s ice creams are priced at RM10.9 for a single scoop RM15.90 for a double scoop or RM18.90 for a triple scoop. 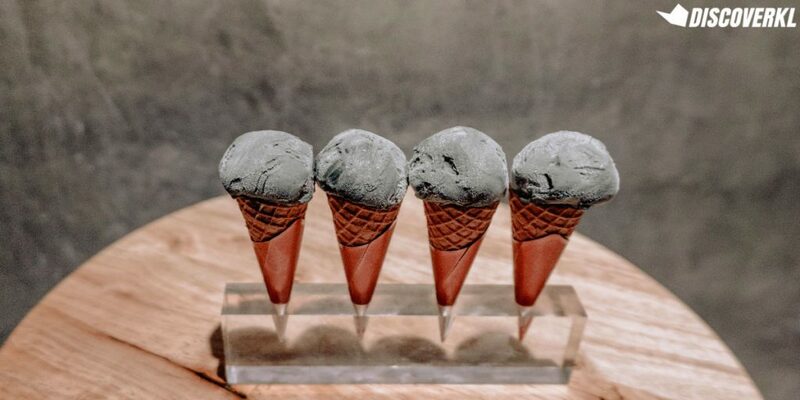 If you can’t get enough of it, they have these delicious ice creams and sorbets packaged in tubs and they are priced between RM15.90 to RM59.90 depending on the amount purchased! Meanwhile, the adorable ice cream cakes (Petit Gâteaux) are priced between RM22-RM25. 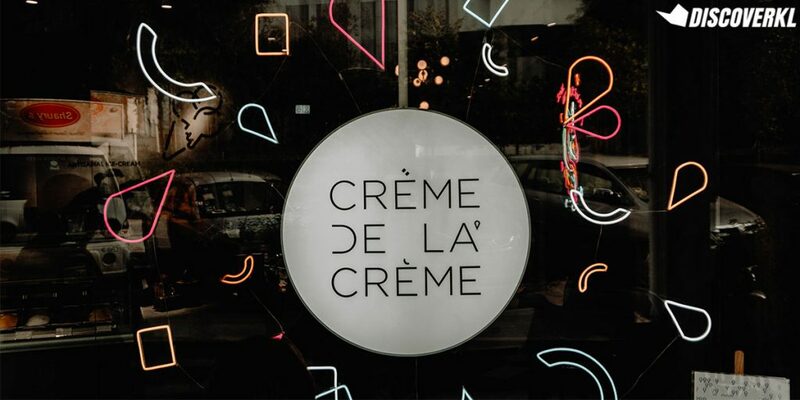 Overall, Crème De La Crème has its unique points and sweet tooths would throughly enjoy this place. With seasonal plated desserts and more new flavours to come, we anticipate it being a hit, especially among young millennials. As for our team, we particularly enjoyed the Petit Gâteaux and how each are intricately made. If we were to come here again, we would go for the Beauty And The Beast and Madagascar Ash ice cream.